Many centers have published price lists of facial feminization surgery costs. Although there are a limited number of procedures, the way they are employed and combined is nearly always different. The best approach to provide FFS surgery cost quotes is on a case-by-case basis after sufficient discussion directly with the patient. Evaluations for FFS or FGCS consist in building a very personalized treatment plan, meaning each procedure is practically customized for every individual needs. No two forehead reconstructions require the exact same work nor will take the same time, so the total FFS cost may vary. Time: the duration of the surgery needs to be calculated according to the type and quantity of procedures, which are decided after personal or Skype video-consultations or at least review of quality photos. The evaluation is a two-way communicative process between the FFS patient and Facial Feminization Specialists dedicated exclusively to the field of facial gender confirmation. Team: the group of surgeons which performs the surgery is hyper-specialized in each unique expertise. It is not possible to provide a list of prices for many complex and nuanced treatment plans which may involve experts in hair transplants, rhinoplasties, maxillofacial surgery or soft tissue work. It´s not just about the surgery: the myriad of complementary support services, testing and more which is included in the quotes is important, and is often the deciding factor for patients choosing a center for their FFS Surgery. 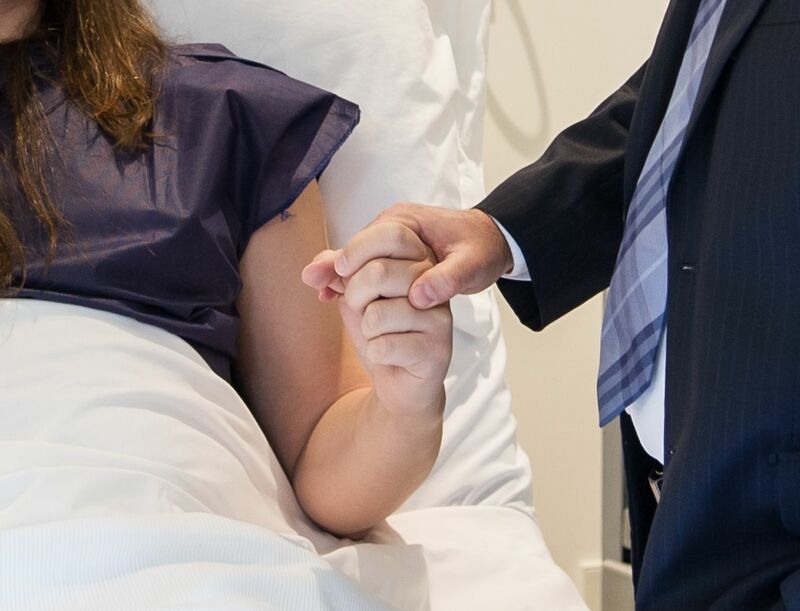 A patient not only has to feel in safe hands for the surgery, but also happily cared for at every stage of the process, beginning with planning and as stress-free as possible. The value of the peace of mind afforded by the “extras” is priceless. So, what is the average cost of facial feminisation surgery? To give you a ball-park idea of Facial Gender Surgery cost in Spain, budgets* range –depending on the treatment plan–between 4,500 € up to 30,000 € if hair transplants are included.